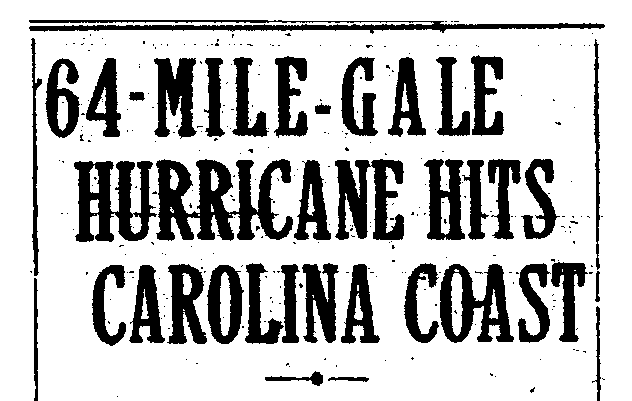 On July 14, 1916, two tropical storms converged to hit the North Carolina/South Carolina coast simultaneously. 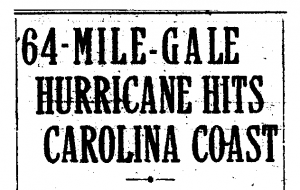 This strong storm hit Charlotte in the late afternoon on the 14th and lasted for 28 hours. Rainfall totaled 5.15 inches, and set a record for highest recorded rainfall in a 24 hour period. Winds overnight were reported to be at around 50 miles per hour and were particularly damaging to the city of Charlotte and the surrounding areas. The storm intensified as it traveled northwest, with the heaviest rains occurring in the headwaters of the Catawba. 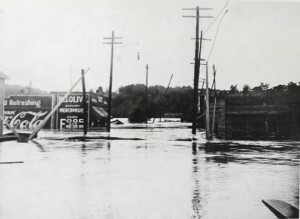 The Catawba raged for the two days following and the high waters caused intense damages to the area. The construction of dams along the Catawba has a long history that starts back before the flood of 1916. Dams were constructed along the Catawba in attempts to both control floods and as a source of hydroelectric power. Following the flood of 1916, momentum behind damming as a method of flood control was intensified in order to try and prevent a similar catastrophe from impacting the lands surrounding the Catawba. Bell, W. M. (1916). The North Carolina flood: July 14 15 16 1916. Charlotte: W. M. Bell. Jacobs, C. (2008). Around Lake Norman. Arcadia Publishing. Scoggins, M. C. (2009). Historic York County: An illustrated guide. HPN Books. Southern Railway (U.S.). 1917. The floods of July 1916: how the Southern Railway organization met an emergency. Washington: Southern Railway Co.
All black and white photographs: Southern Railway (U.S.). 1917. The floods of July 1916: how the Southern Railway organization met an emergency. Washington: Southern Railway Co. Newspaper Headlines: Various articles. (1916, July 13-17). The Charlotte Observer.